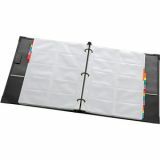 Cardinal Stafford Business Card Ring Binders - Durable, heavy-duty, 1 ring card file binder keeps 200 business cards organized and within easy reach. View up to 20 cards at one time. A-Z index and 10 nonglare vinyl card pages are included. 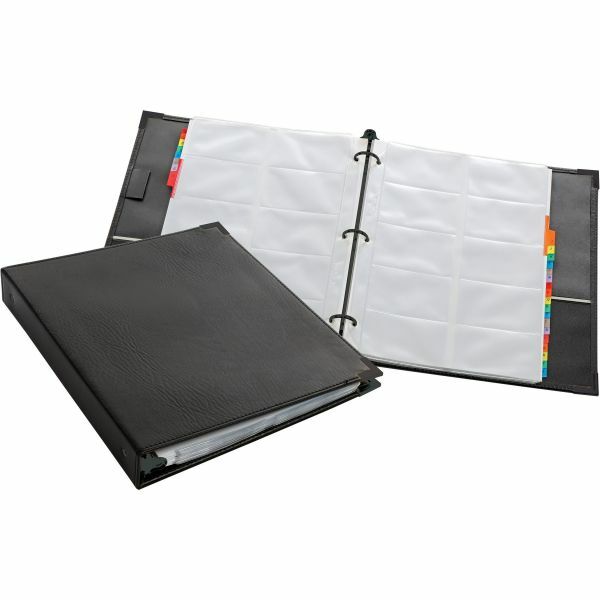 Binder can be expanded to its 600-card capacity by adding 20 pages (sold separately). Binder offers sewn vinyl construction, two inside pockets, a pen loop for convenience, brass corners and 1" round rings." 200 of 8.50" x 11"